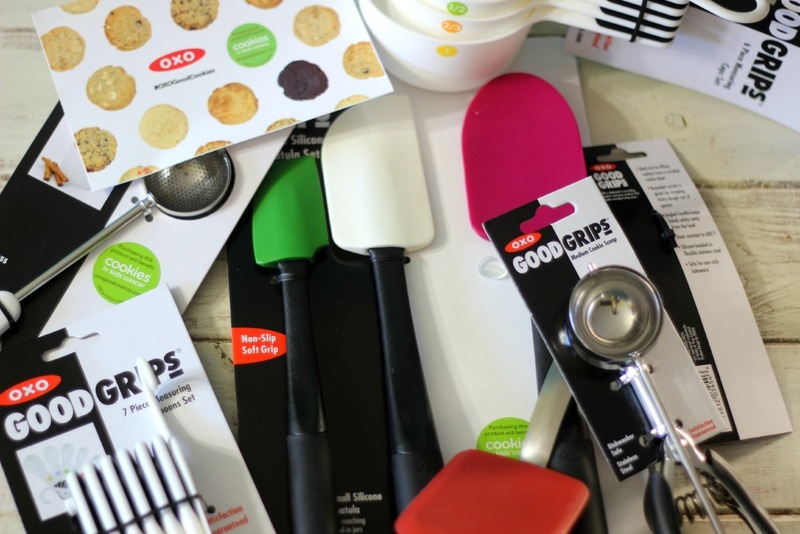 It’s that time of year again where I team up with #OXO to bake cookies that make a difference. These cookies are to promote the Cookies for Kids with Cancer. It’s a program that was formed by the employees of OXO that was inspired by an employee that had a 2-year-old son that was battling cancer. The make a difference campaign was formed to host bake sales that proceeds were matched by OXO for up to $100,000. Now starting in September buy any marked OXO baking tool and 25 cents will be donated towards Cookies for Kid’s Cancer. Look for the specially stickered items at participating retailers. 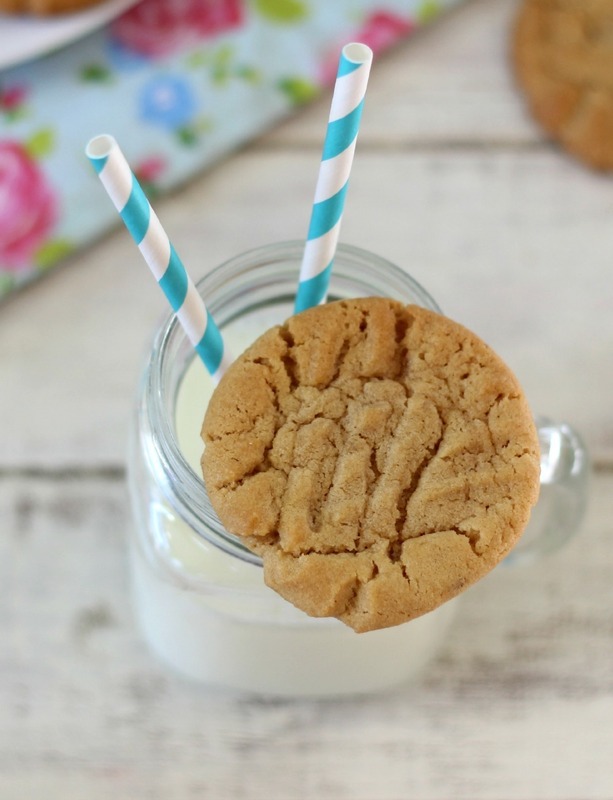 For this special occasion I whipped together, what I call the Ultimate Peanut Butter Cookie. These cookies are perfect in my mind. They have crisp edges with a soft peanut butter middle. 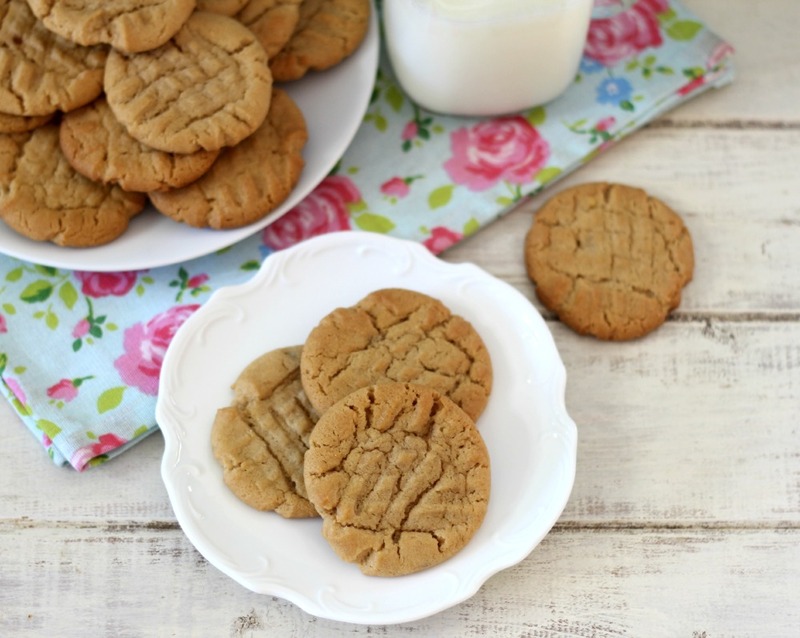 I spent a long time trying to create the perfect peanut butter cookie and most have come out great, but these my friends are my all time favorite. So whats the difference in these cookies that makes them so great? Two secrets, one is adding maple syrup to the dough. The maple syrup brings out the peanut butter flavor and you don’t taste the maple syrup. You only need a tablespoon of it. The second secret is using shortening. Honestly, I have never baked cookies with shortening, but I had to give it a shot. I also calculated the calories and nutritional stats with using shortening versus all butter, the calories are only off by 2, so it’s a wash. I normally don’t believe in shortening in cookies, but because of how they bake and the texture of the cookie, I think shortening is needed. However, you can make this will all butter if desired. The cookies will still turn out great, but they make bake a little differently. Another key thing to the cookies is baking time. I found 8 minutes makes crisp edges with a soft center. Basically the bottom of the cookie will be very light in color. Now if you’re a crispy cookie lover, bake the cookies for 9 minutes. The whole cookie with become crisp. I love both! I tend to lean towards a crispy cookie. One last thing about the cookies is that you need to chill the dough. I made them at night and baked them in the morning. In between each batch of cookies, you need to keep the dough refrigerated. Otherwise you have to soft of dough. The cookies spread out when baking them, so be sure to fit about 9 cookies per baking sheet. The recipe makes 72 cookies! 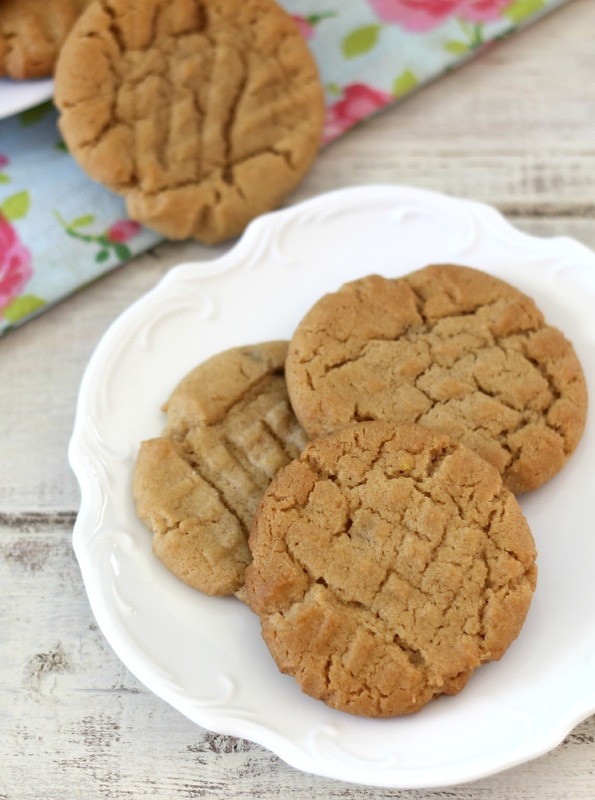 Let me repeat that, 72 heavenly peanut butter cookies! In a large bowl add sugar, brown sugar, peanut butter, shortening, butter, vanilla, maple syrup and eggs; beat until combined. Lightly beat in flour mixture until combined. Yum, yum, yum! 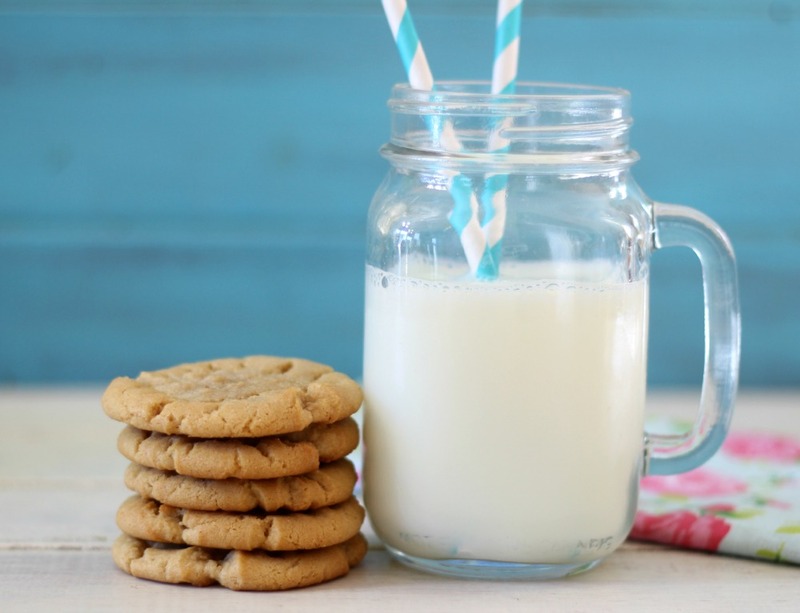 All you need is a big glass of milk to go with these cookies. Oh and you know what? They freeze nicely too. So if you have too many and you can’t eat them all, which maybe impossible, freeze them. That’s actually what I did with this batch of cookies. 72 is a lot!! To get more information on #OXO Bake a Difference Campaign you can check out the following links below. Oh and get this, because I am posting this in September, OXO with donate $100 to the Cookies for Kid’s Cancer. Now be sure to bake up some cookies and share with your friends and family. I received product for this post, but would do this even without product because I believe in this charity. I love how low the points plus are per cookie. 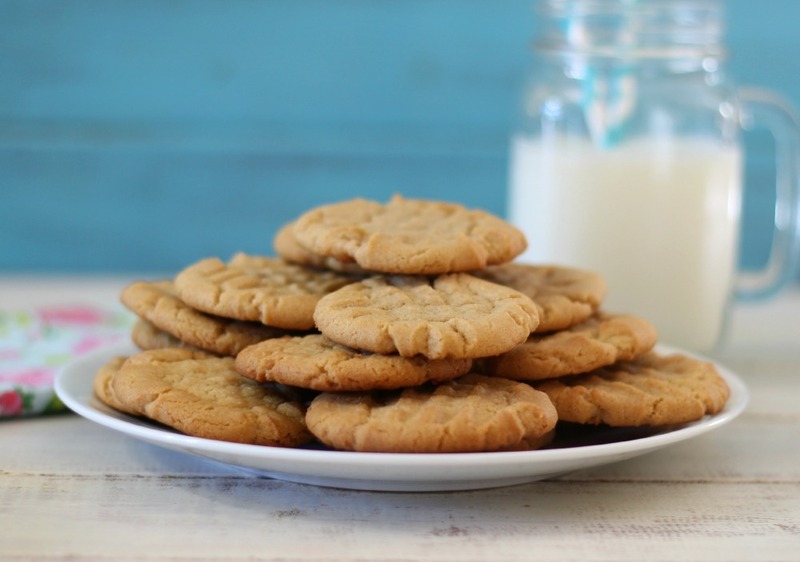 I like peanut butter cookies, but I not to the point where I’d want to inhale one right after the other, which makes these pretty safe in my house. I would still freeze half of them though since they are great when you’re digging through you’re freezer and you find a nice surprise! Hi Samantha! Thanks, I was surprised to see how low the cookies turned out, which makes them guilt-free in my book, as long as you don’t eat a dozen. lol They are the perfect cookie to freeze. Matter in fact I like to eat them straight from the freezer. Yum, yum, yum is right! But I would have mine with hot coffee :). Thanks for having the nutrition info on your recipes! What beautiful cookies for a beautiful cause. I love the idea of adding maple syrup to the dough. These look delicious and congrats on working with OXO for this wonderful campaign! Thank you so much Betsy! 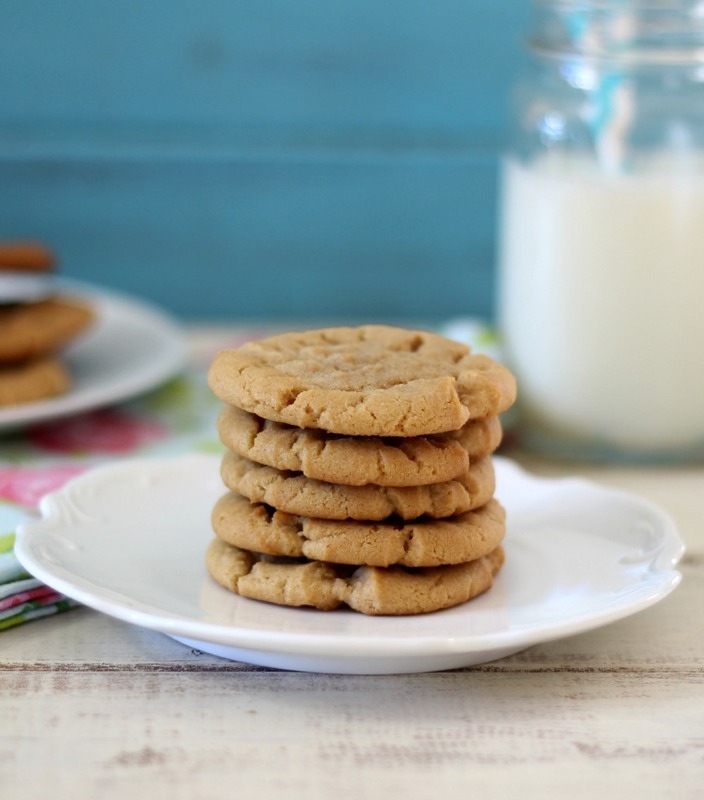 The maple syrup is a great addition for a boost of flavor in the cookies.